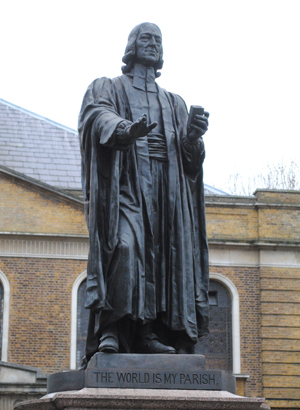 Credited as the founder, along with his brother, of Methodism, it was in London that John Wesley experienced the spiritual awakening that would change his life and lead to the establishment of a new religious movement. Born on 17th June, 1720, in Epworth, not far from Lincoln, Wesley was the 15th of 19 children born to Samuel Wesley – the rector there – and his wife Susanna. Rescued from a fire in the family rectory at a young age, the event was to have a lasting impression on him leading to his later view that he was set apart for a special purpose – “a brand plucked from the burning”. Wesley was educated at London’s Charterhouse School and then at Christchurch College in Oxford. Ordained a priest in the Church of England in 1728, he spent two years serving as his father’s curate before returning to Oxford in 1729. It was there he formed the ‘Holy Club’ with his brother Charles and fellow students including George Whitfield. It’s here that the name ‘Methodist’ was first used as a pejorative term to describe members of the group thanks to their ‘methodical’ way of living – which included religious practises like fasting as well as caring for the ill and prisoners – and which was later adopted by Wesley himself. Following a largely unsuccessful sojourn in the newly founded American Province of Georgia with his brother Charles (they had been invited by the colony’s first governor, James Oglethorpe, to minister to the new settlers) during which Wesley was involved in a courtship that ended badly, the clergyman fled back to England. It was in London, on 24th May, 1738, that the clergyman then had his “Aldersgate experience” in which he felt his heart “strangely warmed” while at a religious meeting in Aldersgate Street (there’s a monument – the Aldersgate Flame – to this next to the Museum of London). Initially influenced by the Moravians (Wesley even visited one of their communities in Germany), he later developed some concerns about some aspects of their teachings and so began forming his own followers into what would become the Methodist Society. Despite considerable opposite from the Church of England (Wesley was still an ordained Anglican minister), the new Methodists continued to work among the poor of London and elsewhere in England. Barred from many Church of England pulpits thanks to his views on everything from salvation to the role ordinary people could play in the church, Wesley began preaching to large masses in the open air – ‘field preaching’ – as he travelled extensively about the country. He is said to have preached as many as 40,000 sermons and travelled some 250,000 miles during his ministry and campaigned on many social issues – including prison reform and the abolition of slavery – while his brother Charles is credited with writing thousands of hymns. The first Methodist chapels in the UK were opened in the late 1770s – while the first was in Bristol, the second was opened in City Road, London, in 1778. It is still in use today – you can visit it, the Museum of Methodism (housed in the chapel crypt), and the house where Wesley lived the last 12 years of his life – follow this link for more details. The statue pictured above stands outside. While he did not ordain ministers in England and throughout his lifetime continued to consider himself an Anglican, in an act which helped lead to the creation of an independent Methodist Church (formally created after his death), in 1784 Wesley ordained ministers to head to the newly independent United States of America after the Anglican Church failed to do so. John Wesley died on 2nd March, 1791, at the age of 87, in his house. 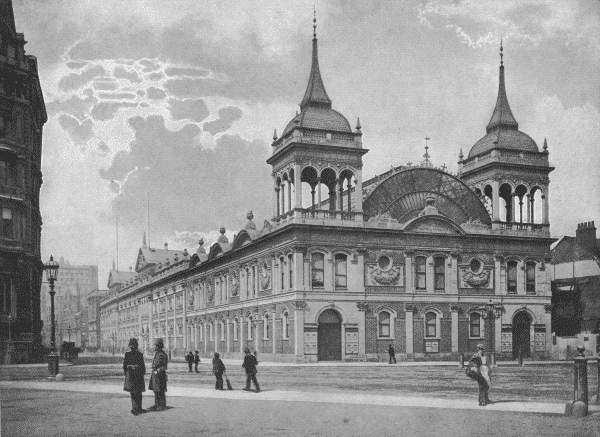 He was entombed at the London chapel. While at the time of his death, it’s estimated that there were 135,000 members and more than 500 itinerant preachers working under the name of “Methodist”, Wesley’s legacy was to become far greater as his ideas spread across the globe. It’s now estimated that there are around 70 million Methodists around the world. 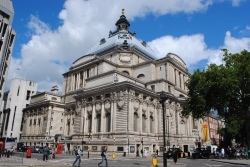 Other monuments commemorating Wesley in London include Methodist Central Hall in Westminster – located opposite Westminster Abbey – which was built in the early Twentieth century to mark the centenary of Wesley’s death and a statue of Wesley on St Paul’s Churchyard, erected in 1988. There’s a terrific walking guide published by the Methodist Church which links sites of relevance to Wesley’s life in London. You can download it here.